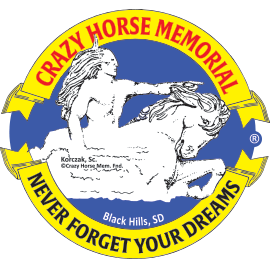 Our 500-piece round puzzle captures a beautiful collection of imagery including an amazing bird's eye view of the Mountain at Crazy Horse Memorial®; the Mountain Crew as they are working on this incredible sculpture; the scale model; and Korczak and Ruth Ziolkowski. Truly inspirational! 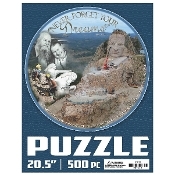 The finished puzzle is 20.5". Made in the U.S.A.